Syria once again finds itself at another critical juncture. Having secured virtually all territory in the nation’s southwest, Damascus’ attention is now fixated on Idlib in the north. Reuters has recently reported on a so-called “National Army” based in northern Syria that appears poised to confront Syrian efforts to restore peace and security nationwide. The idea of having NATO military forces on the ground in Syria, providing protection for Western-backed militants in safe-havens has been stated US policy since the beginning of the Syrian conflict. Turkey would have to be willing to provide the logistical base and much of the ground troops for the operation. Turkey is best placed of any country to intervene in Syria: it has a large, reasonably capable military; it has vital interests in Syria; and its interest is in seeing peace and democratic transition. While Brookings policymakers noted Turkey’s hesitation to do this in 2012 due to fears that Syrian Kurds might be used in some form of retaliation, the dynamics have since shifted due to Turkey’s incremental occupation of northern Syria and Washington’s minding of Kurds east of the Euphrates River. The plan included the seizure of a significant swath of Syrian territory after which the US could recognize the militants as the “new provisional Syrian government,” then lend them more direct military, political, and economic support. In northern Syria, particularly around the city of Idlib, a slow-motion version of this plan has been unfolding for years, under the protection of the Turkish military. Of course, both Brookings papers were written before Russia intervened directly in the Syrian conflict in 2015. Iran also has a sizable presence in Syria. 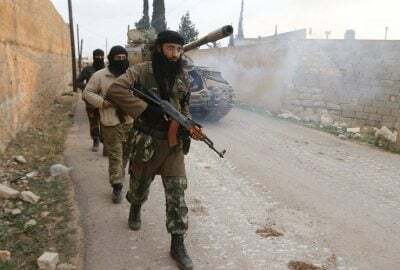 Militant-held territory has been retaken all the way up to the Syrian-Jordanian border and Syrian forces are reportedly mobilizing for operations against Idlib itself. Ankara and Washington also appear to be at odds, while at the same time, Ankara has been making overtures toward Moscow and Tehran. Of course, all of this could be geopolitical theater. It is not unprecedented for nations – particularly those aligned to the US – to feign a shift in policy only to backtrack and double down. Turkey is heavily dependent on Europe in particular economically and the vector sum of its foreign policy still appears to favor Western interests. Turkey still finds itself overseeing a nearly verbatim execution of stated US foreign policy in northern Syria. The militant groups it has consolidated and harbored under its protection have been refitting and rearming – many of them having been flushed out from across Syria as Damascus and its allies retake the country. These are groups that have rejected peace deals and have rejected offers to join Syrian forces in the fight against extremists still holding out across the country. In many cases, these militants come from groups either fighting under Al Qaeda’s banner, or alongside it. Turkey still finds itself overseeing one of the last bastions of anti-government militancy in Syria – the other being US-occupied eastern Syria. Only Damascus, Moscow, and Tehran’s intelligence services can know for sure what Ankara’s intentions are, what its true disposition is in northern Syria, and what if anything Turkish forces can or will do if Syrian forces begin retaking Idlib. For Damascus and its allies, promises and good will from Ankara must be coupled with realist provisions to ensure good will is the only good option Ankara has to choose from. 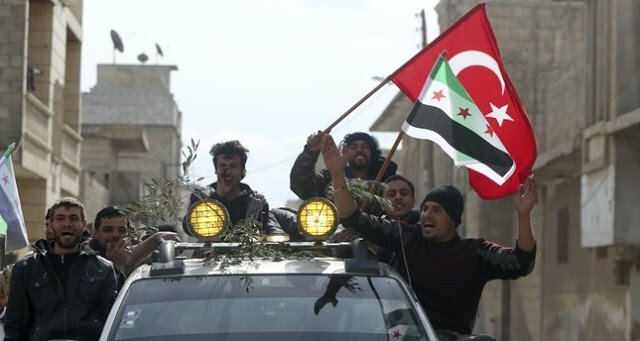 Ultimately, one of the last showdowns in Syria’s long-fought war to foil Western-sponsored terrorism and subversion will be in territory Turkey has harbored US-backed anti-government militants in. Only time will tell if these militants are incrementally disbanded and Turkish forces withdraw thus bringing this conflict one step closer to an end, or a dangerous standoff with Turkey – mirroring Israel’s illegal occupation of Syria’s Golan Heights – begins.